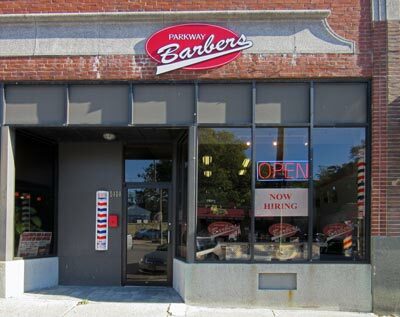 Parkway Barbers is located at 1414 Centre St. Roslindale, MA 02131. It is accessible by the 38 and 51 bus routes departing from Forest Hills T station. If you are travelling by car you can get Mapquest directions by clicking here.